I always had problems with slim putting grips. Two years ago I changed my grip from standard to the big Tigershark which changed the situation but not my results. So almost a year ago I asked a friend if he could buy me the Fatso Superstroke Lite during his holidays in the U.S. And what can I say, “I love it”, it totally changed my game on the green. What the heck are three putts. Yes, the past season I spent more time on the practice green but I feel so much more confident during my putting stroke. No more squeezing, no more pressure. I even enjoy putting. Right now I’m definitely looking forward to the upcoming season. I’ll probably never change my grip – maybe for a fresh new color. 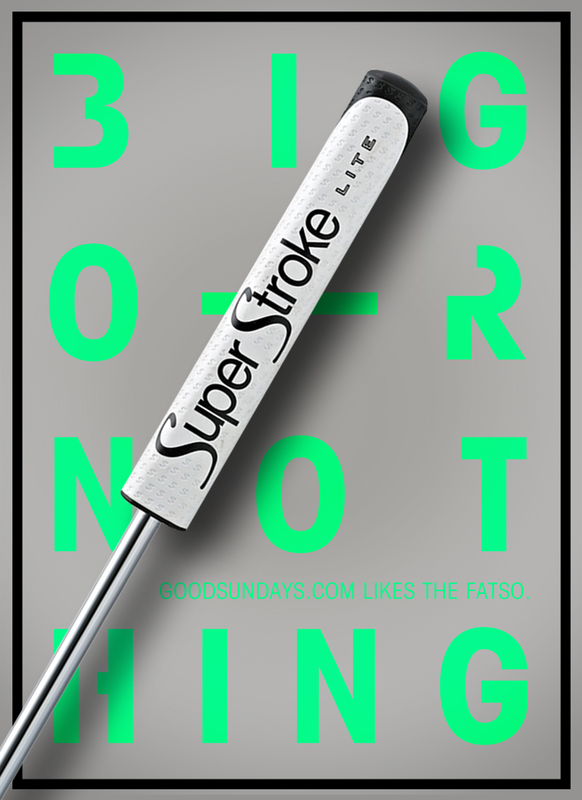 “BIG OR NOTHING” – I like the Fatso Superstroke Lite.